Adopting new technologies and processes means overcoming often complicated software integration challenges, both between your existing applications and external systems. Our software integration engineers are on hand to handle your integration obstacles, from architecture design to testing to execution. We design automated integration services for merging data in disparate applications, file formats and Database Management Systems (DBMS), consolidating business processes and knowledge bases while ensuring complete data integrity during transfer. We integrate multiple data types, in addition to business logic schemas, using ETL (extract-transform-load) best practices and proven version control protocols. Our system integration specialists provide Enterprise Application Integration (EAI) solutions, facilitating seamless communications between mission-critical business platforms. 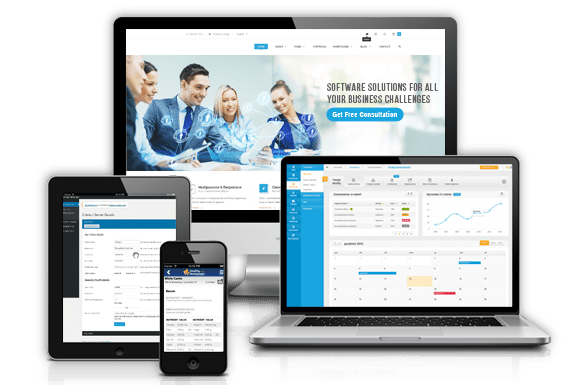 We have experience providing integrations for platforms that handle content management (CMS), accounting, enterprise resource planning (ERP), customer relationship management (CRM), business intelligence, reporting and analytics, and digital marketing. We utilize networking best practices when integrating custom built, open-source and third-party APIs that interface disparate enterprise platforms and processes, add web service functionality to applications, and synchronize data formats across applications. Our API integration solutions are executed with the aid of popular platforms like Azure, MuleSoft's Anypoint, Funnel, Jitterbit and Dell Boomi. We develop enterprise-wide Service-Oriented Architectures (SOA) that are designed to deploy all services related to business processes, technical tasks and data access using the same business logic interface and integration services. Every SOA we construct is optimized for system independence (loosely coupled), rapid data retrieval, reusability of integrated systems, and web service interoperability.